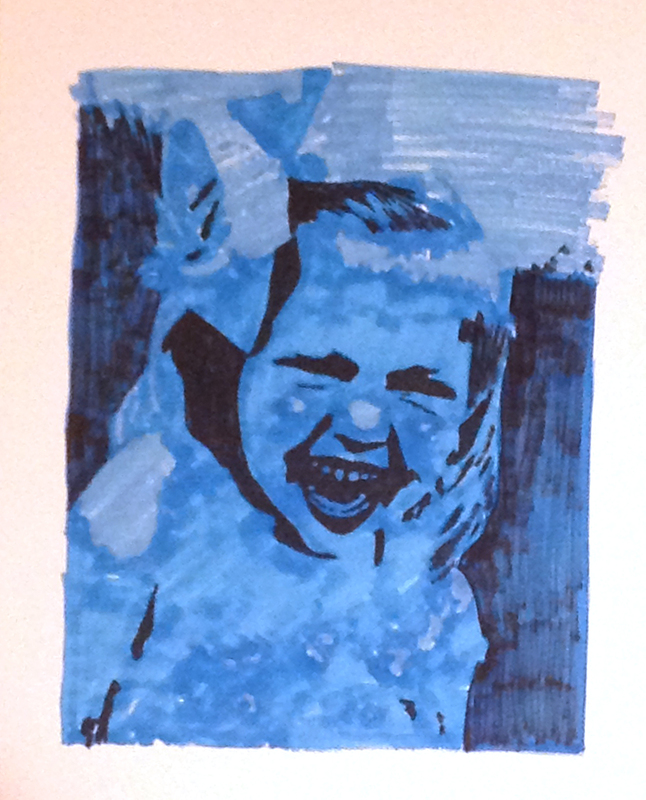 I don’t know why I like to create pieces in blue of little girls with wide open happy expressions. I guess because it doesn’t seem like the natural choice? Maybe I need therapy! Anyway, I created this today. I like it.